A soft, healthy pout is something we all want to achieve. 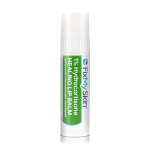 FixMySkin Healing Lip Balm is similar to a drug-store ChapStick, except that it uses 1% hydrocortisone to repair chapped skin faster than the average product. 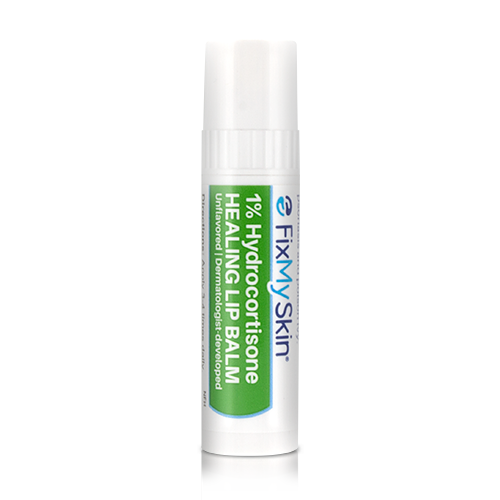 Hydrocortisone is a topical steroid typically used to treat inflammation and irritation. This medicated healing treatment is perfect for those who constantly battle a dry, chapped smile. It delivers hydrocortisone deep into the skin to repair cracked skin to keep it soft with meadowfoam oil and shea butter. The best part about this healing balm is its unflavored formula. When applying this nourishing treatment to your pout, you won’t even be able to tell it’s medicated. Beeswax​,​ C12-15 Alkyl Benzoate​,​ Glycine Soja (Soybean) Germ Extract​,​ Hydrocortisone​,​ Meadow Foam (Limnanthes Alba) Seed Oil​,​ Ricinus Communis (Castor) Seed Oil​,​ Shea Butter (Butyrospermum Parkii) Extract​,​ Silica​,​ Stearyl Alcohol​,​ Theobroma Cacao (Cocoa) Seed Butter​,​ Zea Mays (Corn) Starch​.